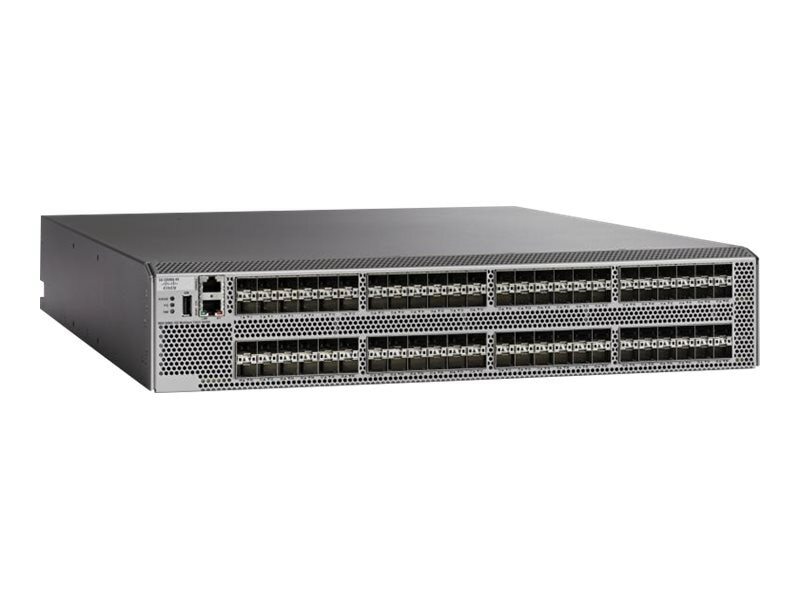 The Cisco MDS 9396S 16G Multilayer Fabric Switch is the next generation of the high performance, high density and highly reliable Cisco MDS Series Fabric switches. It combines high performance with exceptional flexibility and cost effectiveness. This powerful, compact, 2-rack-unit (2RU) switch scales from 48 to 96 line-rate 16-Gbps Fibre Channel ports.